Have you been looking for a WordPress website creator in India to build a new website or redesign your existing website? Here are some tips that you can follow before you hire a WordPress developer in India so that you can avoid all the possible disappointments in future. Yes, checking with your web developer their WordPress portfolio is the most important thing that you must ensure before you hire a WordPress website maker in India. Some of the web developer may try to convince you by showing few of their websites that haven’t been developed using WordPress because they simply don’t have experience in it. Think twice before you outsource your website design to these developers. If you need a WordPress website, you must check only the relevant experience of your web developer. Don’t settle for less. WordPress, being one of the most popular CMS on the planet, is always on the target of hackers. In our experience, we receive too many inquiries & requests from businesses around the world who want to fix their hacked websites and make the secured to prevent this kind of security threats in future. Engage your WordPress developer in conversation and learn how they can help you to secure your website. WordPress CMS has one of the easiest & user-friendly interfaces to manage a website. But you still require a short training in order to take control of your website. If you have hired a WordPress website maker in India, you can request him or her to arrange a video call and teach you how you can manage your website. By requesting your web developer to train you on the WordPress CMS, you are really not asking too much from him. There are many WordPress developers who are not very proficient in web designing. As a result, you get a functional website that doesn’t look good or is unable to support latest versions of major browsers. To avoid this situation, do make sure to ensure that your shortlisted web developer is equally skilled with web design techniques. While its true that there are thousands of WordPress plugins that your developer can use to build your website, but at the same not all of these plugins can match your specific requirements. 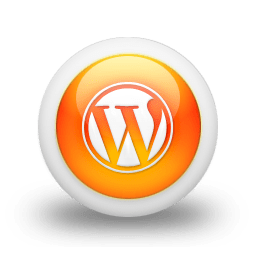 It is most likely that your WordPress developer will be required to customize the plugins in order to match your specifications. Therefore, before you hire a web developer to build your WordPress website, do make sure that he or she has the ability to customize the plugins. WordPress websites are loved by search engines. As a result, it becomes easier for you to rank your website on the noticeable positions of search engines to get relevant traffic on your website. But in order to optimize any WordPress website for search engines, there are few tips that must be followed in order to make the website SEO-friendly. Looking For A WordPress Developer? Contact Us!